Dr. Allison is unique and full of wisdom. Although, I cannot see her anymore due to my insurance change, I highlyrecommend her to people who have ibs, ibd and other stomach issues. She is a great listener and a very informative person when it comes to concerns. Dr. Allison taught me a lot of things about my diet and gave me more insight on how to manage my ibs-d. Thanks Dr. Allison! Dr. Allison is unique and full of wisdom. Although, I cannot see her anymore due to my insurance change, I highly recommend her to people who have ibs, ibd and otherstomach issues. She is a great listener and a very informative person when it comes to concerns. Dr. Allison taught me a lot of things about my diet and gave me more insight on how to manage my ibs-d. Thanks Dr. Allison! Very nice and knowledge, great bedside manner. Very quick to come into the room and spent a good amount of timewith me to answer all my questions: it was definitely worth the trip to Boston from Rhode Island to see Dr. Allison. Very nice and knowledge, great bedside manner. Very quick to come into the room and spent a good amount of time with me to answer all my questions: it was definitelyworth the trip to Boston from Rhode Island to see Dr. Allison. 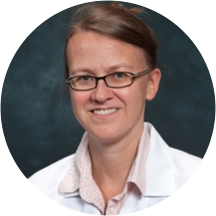 Dr. Harmony Allison is an enthusiastic and compassionate gastroenterologist based in Boston, MA. Dr. Allison attended medical school at the University of Vermont. She then completed both her internship and residency in internal medicine at Boston Medical Center. She continued her training by finishing two fellowships in gastroenterology at the University of Washington and Tufts Medical Center. Dr. Allison is affiliated with Tufts Medical Center in Boston, MA. She is certified by the American Board of Internal Medicine in gastroenterology and internal medicine. Dr. Allison sees patients for gastroenterology consultations as well as other common and specialized reasons. Patients rely on Dr. Allison’s expertise because she consistently provides high quality care that leads to positive and lasting health outcomes. Her approachable demeanor helps make patients feel at ease, while her crisp, thorough explanations help patients understand their conditions better. My first visit with Dr. Allison was fantastic. She is a warm, caring and highly skilled gastroenterologist. I always have anxiety going to doctor appointments but Dr. Allison couldn't have been nicer and her demeanor really went a long way tomake me feel comfortable. She is also a great listener and had several great suggestions on my treatment plan ; she clearly wanted me to be involved in decision making with all treatment plans we discussed. I'm so glad I found Dr. Allison. I'm so happy to have found Dr. Allison. She is wonderful- kind, caring, wonderful communication. The best GI I've ever seen! She was wonderful! Dr. Allison really took a lot of time with me to discuss my concerns and next steps to take. Very, very, very and highly impressed. Very kind, caring, and thorough. Obviously very patient and caring to the individual needs of me as her patient. Explained thing thoroughly and ensured I understood. Didn't feel rushed or that my opinionor concerns didn't matter. She made sure I knew she heard me. She set up a plan of care and put my mind and concerns at ease. I look forward to seeing her again and working with her to get through my issues. My wait time was less than 5 minutes. The doctor was very nice, listened and understood my concerns. Explained everything and was easy to understand. Dr. Allison was very nice, professional and thorough. I feel very comfortable with her treating me. Very good listener and spent a good deal of time talking to me about my symptoms and possible diagnoses. I would definitely recommend her to others. Dr. Allison was very informative and did not rush through the appointment. She answered all of my questions and made suggestions to alleviate my concerns. She also was receptive to alternatives that I suggested instead of just brushing me off. Knowledgeable, caring, truly listened to our concerns. She provided us with the guidance we were looking for. Dr Allison is great. But the admission process was terrible. There does not seem to be a sync between ZocDoc and their internal system, as a result of which they had my appointment in one place but not on their calendarand had none of the information I had already input through ZocDoc, making the use of ZocDoc pretty much a complete waste of time. Doctor was very thorough. She listened and answered all of my concerns. She is the BEST doctor I habe ever encountered. Excellant manners and well educated. Treats you as a whole person and very caring. Excellent physician. Very knowledgeable, great bedside manner and very pleasant, no wait time.